Created in 1995 after the transformation of the MICROBERT Study Center, ECIB puts at the service of the students a total of 1200 m2 of facilities equipped with professional equipment: filming platforms, digital sound studio, film and HD cameras, equipped classrooms with mounting work stations and VFX. All this allows to train students in the learning of the cinematographic techniques necessary to develop their creativity and discover their look as filmmakers. ECIB is the only institution in Catalonia that teaches courses and masters in all cinematographic disciplines: fiction, documentary and animation. ￼ECIB has been training students in the various trades of the film profession for more than 20 years: film and photography directors, art directors, camera operators, editors, sound technicians, scriptwriters, documentary filmmakers, film critics and animators in all their disciplines. Many of them today occupying relevant roles within the Film and TV industry. 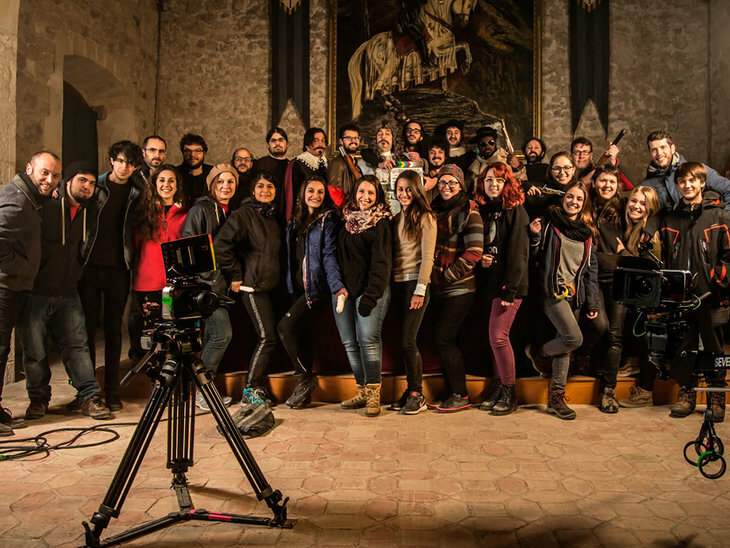 Since January 2015, ECIB incorporates into its training offer all the experience, methodology and curricular design of 9ZEROS (Escola d'Animació de Catalunya), becoming, in this way, one of the only institutions in Europe that combines all cinematographic disciplines in your curriculum; with courses and masters in cinematographic direction, sound, photography, documentary film, as well as in 2D animation, CG Animation and stop-motion. ECIB is distributed in three spaces located on Girona street in Barcelona, ​​at numbers 51, 52 and 54, in the neighborhood of Barcelona's 'L'Eixample'. The 1200 m2 of facilities and technical equipment reinforce the training of students in their specialties: direction, photography, script, montage-VFX, documentary film, animation and interpretation. 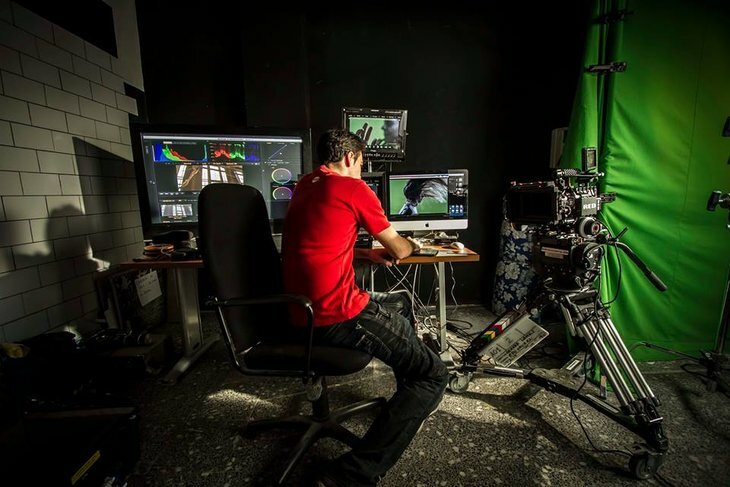 The 1200 m2 of facilities and technical equipment reinforce the training of students in their specialties: direction, photography, script, editing, VFX, documentary film, animation and interpretation. 1 RED Scarlet-W, a digital cinema camera that incorporates the recent DRAGON sensor and which, according to the manufacturer, is the perfect storm. With the latest sensor developed by RED and with a native resolution of 5K, this camera shines for its versatility. You can record in R3D, ProRes and DNxHD (the Epic only records in R3D). It also allows loading 3D LUT files that facilitate the preview on camera of any look created and desired. With WiFi antenna and integrated camera micro, this small wonder of technology can record up to 300fps at 2K (2: 40: 1) // 150fps at 4K (2: 40: 1) // 60fps at 5K (2: 40: 1). However, speed is not its greatest virtue; The great potential of this model lies in the possibility of being able to easily exchange the turret and thus be able to move from EOS mounts (Canon) to PL (Arri-cine 54mm). This fact allows versatilizar the camera during the course of the year, facilitating in addition the daily classes and elevating his provision in the final projects faced to the projection in rooms. And if that were not enough, its modular system makes it compatible with all the latest generation RED accessories (DSMC2), thus allowing the complete coupling with its older sister, the WEAPON and her little sister, the RAVEN. The camera comes equipped with the following accessories: Mounting plate (15mm), Red Brick batteries, matte box, Mini-mag red station, 2 120GB Mini-network, PL mount DSMC TI PL MOUNT (CAPTIVE), 19mm release DSMC MOUNTING PLATE and Follow focus. In addition to the Scarlet-W NETWORK, ECIB also owns BlackMagic Cinema production 4K cameras, BlackMagic Pocket 2k , DSLR-HD Canon 7D, 5D and 600D, Panasonic P2, ARRI SLR 16mm and SONY Z-1 with tripods lenses and accessories . The ECIB look extends beyond our walls. 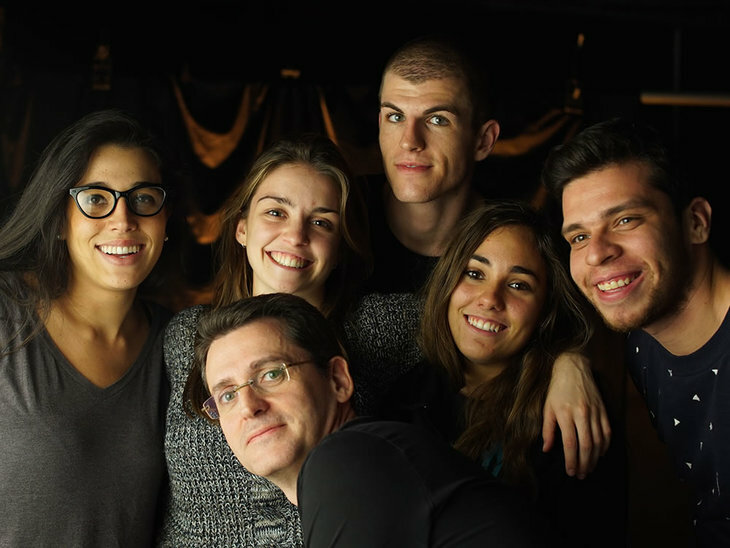 We believe that the exchange of ideas, philosophy and ways of working with film professionals enriches the training of our students. It shows this eagerness to expand our training programs, ECIB periodically organizes several activities that have the presence of recognized professionals in the film industry. Eventually they organize "Masterclasses", depending on the availability of the professional in question. Each year, seminars, conferences and masterclasses are taught at ECIB with top-level professionals. Excursions to cultural centers and exhibitions are also organized. This is a fundamental course, which covers all processes involved in production of stop motion animation, with special emphasis on the most important and difficult: character animation. very complete a course that enables you to gain a solid foundation from which to continue improving as an animator / a, or prepare for postularte in our Master in Stop Motion Animation and Realization. This course offers a lot of technical and artistic information about animation, design and construction of characters and sets, staging, lighting and organization, entering the field of art direction, the cinematography and production.